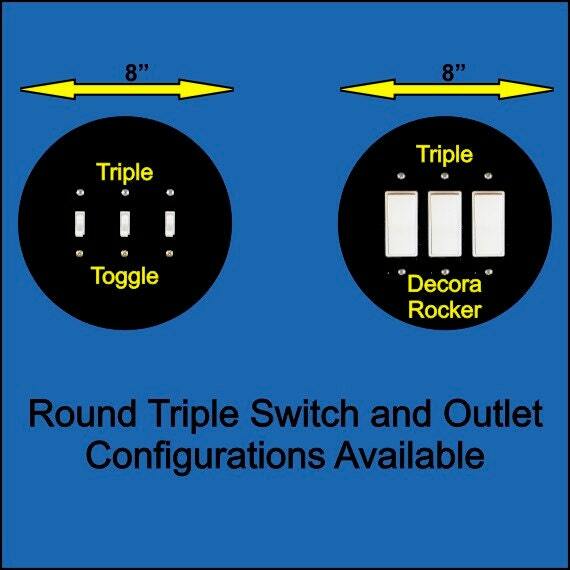 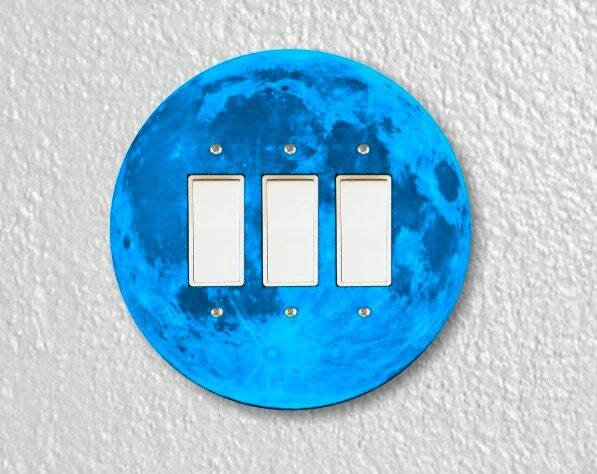 The image on this triple rocker switch plate is a high resolution image of a blue tinted. 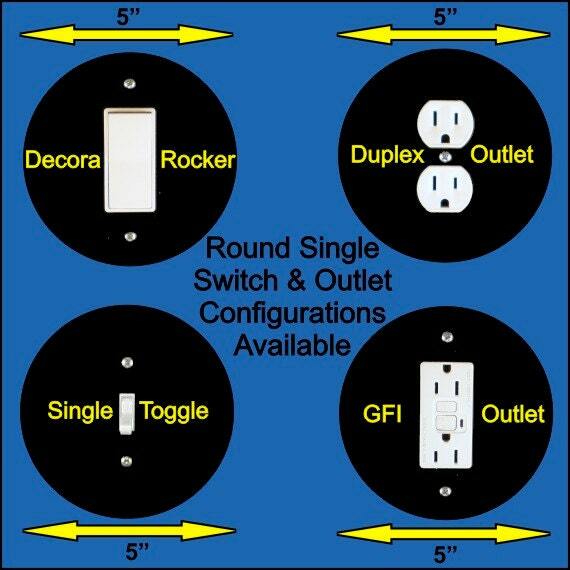 This unique 8 inch diameter round wall plate is made of one eighth of an inch thick durable hardcoated hardboard material (also known as masonite). 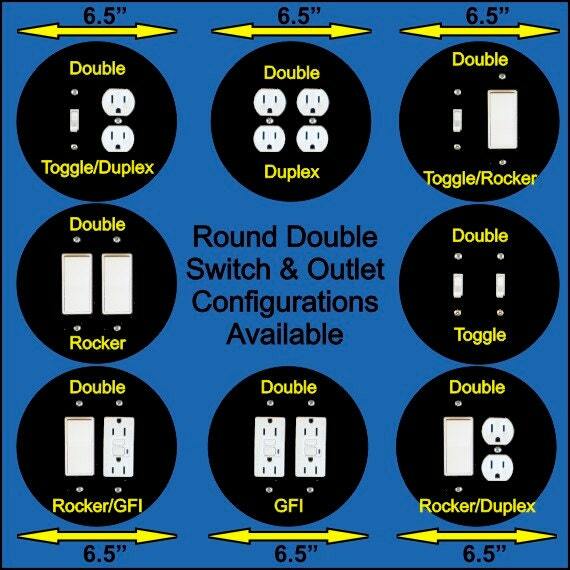 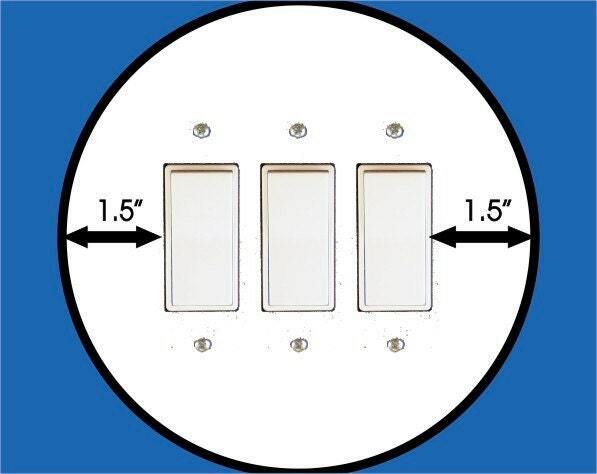 You need 2 inches clearance on either side of the left AND right switch openings for this plate to fit your wall.